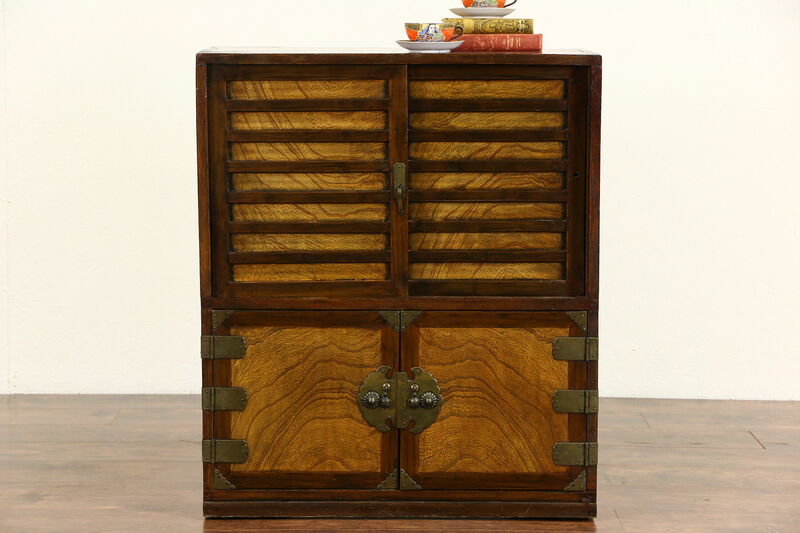 A picturesque Chinese tea cabinet was hand hewn of pine and ash hardwood around 1890. The gleaming old finish is in very fine condition with warm patina on this traditional Asian furniture. There are warps and dings for antique character. Engraved brass mounts are original, joints are hand cut dovetails with wooden pegs. Used to hold pots, cups, linens and accessories for serving tea, upper doors are sliding. Measurements are 30" wide, 15" deep and 36" tall.